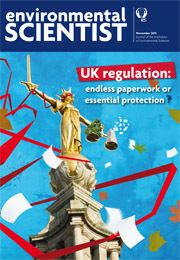 UK regulation: endless paperwork or essential protection? This journal provides a comprehensive review the UK's environmental regulatory landscape and explains how regulation has benefited the UK environment. It describes the motivations behind the Smarter Environmental Regulation Review and Red Tape Challenge.